Aiton, E. J., The Vortex Theory of Planetary Motions (London: Macdonald & Co., 1972). On Descartes' vortex theory, the primary rival of Newton's theory of gravitation. See also B. S. Biagre, "Descartes's Mechanical Cosmology," in Norriss S. Hetherington, ed., Encyclopedia of Cosmology: Historical, Philosophical, and Scientific Foundations of Modern Cosmology (New York: Garland Publishing, Inc., 1993), pp. 164-176. Andrade, E. N. da C., Sir Isaac Newton: His Life and Work (Garden City, New York: Doubleday & Co., Inc., 1954). Brief, popular historical introduction. Armitage, Angus, Edmond Halley (London: Thomas Nelson and Sons Ltd., 1966). A scientific biography emphasizing Halley's scientific accomplishments. -, The World of Copernicus (New York: Henry Schuman, Inc., 1947). Original title: Sun, Stand Thou Still. Brief, popular historical introduction. Brush, Stephen, "Should the History of Science Be X-Rated?" Science, 183 (1974): 1164-72. Buchdahl, Gerd, The Image of Newton and Locke in the Age of Reason (London: Sheed and Ward, 1961). Small booklet on Newton's image and its effect on eighteenth-century thought and imagination. Casper, Max, Kepler, translated and edited by C. Doris Hellman (London and New York: Abelard-Schuman, 1959). The most extensive biography by the greatest Kepler scholar. Cohen, I. Bernard, The Birth of a New Physics, Revised and Updated (New York: W. W. Norton & Company, 1985). Expanded version of the 1960 original. An outstanding book showing clearly how Galileo, Kepler, and Newton changed Aristotle's physics. Cook, Alan, Edmond Halley: Charting the Heavens and the Seas (Oxford: Clarendon Press, 1998). More detailed than Armitage's earlier biography. Crowe, Michael J., Theories of the World from Antiquity to the Copernican Revolution (New York: Dover Publications, Inc., 1990). Outstandingly clear presentation, developed from a college course. Dicks, D.R., Early Greek Astronomy to Aristotle (Ithaca, New York: Cornell University Press, 1970). Chapters on Eudoxus and on Callippus and Aristotle. Drake, Stillman , Dialogue Concerning the Two Chief World Systems—Ptolemaic & Copernican. Translated, with revised notes, by Stillman Drake, foreword by Albert Einstein, second edition (Berkeley: University of California Press, 1967). See also Finocchiaro's translation. --, Discoveries and Opinions of Galileo, translated with an introduction and notes by Stillman Drake (Garden City, New York: Doubleday & Co., 1957). Galileo's telescopic discoveries in his Starry Messenger of 1610, his 1613 letters on sunspots, and his Letter to the Grand Duchess Christina of 1615 discussing the relationship between science and religion in English translation with historical introduction. Drake is a major Galileo scholar, and all of his many books on Galileo are good reading. Dreyer, J.L.E., History of the Planetary Systems from Thales to Kepler (Cambridge: Cambridge University Press, 1906); second edition, revised by William Stahl, with a supplementary bibliography, and retitled A History of Astronomy from Thales to Kepler (New York: Dover Publications, 1953). Still useful reading after a century. Duhem, Pierre, To Save the Phenomena: An Essay on the Idea of Physical Theory from Plato to Galileo, translated by E. Donald and C. Machler (Chicago: University of Chicago Press, 1969). Evans, James, The History and Practice of Ancient Astronomy (New York: Oxford University Press, 1998). Focuses on the concrete details of ancient astronomical practice. See also by Evans "Ptolemaic Planetary Theory," in Norriss S. Hetherington, ed., Encyclopedia of Cosmology: Historical, Philosophical, and Scientific Foundations of Modern Cosmology (New York: Garland Publishing, 1993), pp. 513-526; "Ptolemy," in Hetherington, ed., Cosmology: Historical, Literary, Philosophical, Religious, and Scientific Perspectives (New York: Garland Publishing, 1993), pp. 105-145. Feingold, Mordechai, The Newtonian Moment: Isaac Newton and the Making of Modern Culture (New York and Oxford: The New York Public Library/ Oxford University Press, 2004). The best single volume on Newton's effect on modern culture and thought. This is the companion volume to a library exhibition; see http://www.nypl.org/research/newton/index.html. Finocchiaro, Maurice A., Galileo on the World Systems. A New Abridged Translation and Guide (Berkeley: University of California Press, 1997). See also Drake's translation. California Press, 1989). The story is continued in Retrying Galileo 16331992 (Berkeley: University of California Press, 2005). Gillispie, C.C., Pierre-Simon Laplace 1749-1827: A Life in Exact Science (Princeton: Princeton University Press, 1997). On Laplace, who resolved many outstanding problems in the Newtonian paradigm. See also Roger Hahn, Pierre Simon Laplace 1749-1827: A Determined Scientist (Cambridge, Massachusetts: Harvard University Press, 2005). Gingerich, Owen, The Eye of Heaven: Ptolemy, Copernicus, Kepler (New York: The American Institute of Physics, 1993). 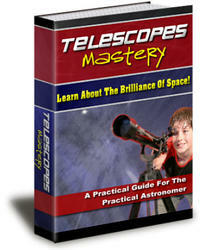 Informative essays on Ptolemy, Copernicus, and Kepler. See also by Gingerich: The Nature of Scientific Discovery: A Symposium Commemorating the 500th Anniversary of the Birth of Nicolaus Copernicus (Washington, D.C.: Smithsonian Institution Press, 1975); The Great Copernicus Chase and other adventures in astronomical history (Cambridge, Massachusetts, and Cambridge, England: Sky Publishing Corporation and Cambridge University Press, 1992); The Book Nobody Read: Chasing the Revolutions of Nicolaus Copernicus (New York: Walker & Company, 2004). Goldstein, Bernard, Al-Birtuji: On the Principles of Astronomy (New Haven: Yale University Press, 1971). Grant, Edward, Physical Science in the Middle Ages (New York: John Wiley & Sons, 1971). Excellent introduction by a major scholar in this field. Heath, Thomas, Aristarchus of Samos: The Ancient Copernicus. A History of Greek Astronomy to Aristarchus together with Aristarchus's Treatise on the Sizes and Distances of the Sun and Moon. A New Greek Text with Translation and Notes (Oxford: Clarendon Press, 1913; New York: Dover Publications, 1981). Heath's 297-page history of ancient Greek astronomy introduces Aristarchus's text. Though now superseded by more recent and more accessible historical overviews, Heath's book usefully contains much material translated and quoted at length. Hetherington, Norriss S., Ancient Astronomy and Civilization (Tucson, Arizona: Pachart Publishing House, 1987). Development of a science, and some of the cultural, historical, and intellectual interactions with civilizations that nurtured it. Now extended and superseded by Hetherington, Planetary Motions (Westport, Connecticut: Greenwood Publishing, 2006). -, Cosmology: Historical, Literary, Philosophical, Religious, and Scientific Perspectives (New York and London: Garland Publishing, 1993). Less expensive paperback for classroom use with major entries from the Encyclopedia of Cosmology, including many from the Greeks through Copernicus and Newton. Foundations of Modern Cosmology (New York and London: Garland Publishing, 1993). Many major entries of over 5,000 words, including topics related to planetary astronomy from the Greeks through Copernicus and Newton. Science and Economics," in Paul Theerman and Adele F. Seeff, Action and Reaction: Proceedings of a Symposium to Commemorate the Tercentenary of Newton's Principia (Newark: University of Delaware Press, 1993), pp. 277-291. -, "Plato's Place in the History of Greek Astronomy: Restoring both History and Science to the History of Science," Journal of Astronomical History and Heritage, 2 (1999), 87-110. Heuer, Kenneth, City of the Stargazers: the Rise and Fall of Ancient Alexandria (New York: Charles Scribner's Sons, 1972). Elementary level. Holton, Gerald, The Scientific Imagination: Case Studies (Cambridge: Cambridge University Press, 1978). See especially "Themata in Scientific Thought," pp. 3-24. Holton writes that a historian of science doing a thematic analysis is like a folklorist or anthropologist looking for and identifying recurring general themes in the preoccupations of individuals and of a society. Massachusetts: Harvard University Press, 1973). On themata in Kepler's work see "Johannes Kepler's Universe: Its Physics and Metaphysics," pp. 69-90; originally published in American Journal of Physics, 24 (1956), 340-351. Holton is one of the most exciting writers on the history of science, and all his books are highly recommended. Holton, Gerald and Stephen G. Brush, Physics, the Human Adventure: From Copernicus to Einstein and Beyond (New Brunswick, New Jersey: Rutgers University Press, 2001). Third edition of the 1952 Introduction to Concepts and Theories in Physical Science. Presents physical concepts clearly and in their cultural context. Arguably the best physics college textbook. Hoskin, Michael, The Cambridge Illustrated History of Astronomy (Cambridge: Cambridge University Press, 1997). Outstanding text and illustrations from an outstanding historian of astronomy. Jaeger, Werner, Aristotle: Fundamentals of the History of his Development, second edition, translated by R. Robinson (Oxford: Clarendon Press, 1948). The standard interpretation of Aristotle's thought: that he began very close to Plato's intellectual position and only gradually departed from it. Ambiguities in the dating of Aristotle's writings encourage such an analysis, because the resulting pattern then can be used to determine the chronological order of undated passages. For a different interpretation see Marjorie Greene, A Portrait of Aristotle. Jones, Tom, The Figure of the Earth (Lawrence, Kansas: Coronado Press, 1967). Koestler, Arthur, The Sleepwalkers: A History of Man's Changing Vision of the Universe (New York: Macmillan, 1959), A great read from one of the twentieth century's great writers. The part on Kepler is also published as The Watershed (Garden City, New York: Doubleday, 1960). Koyre, Alexandre, The Astronomical Revolution: Copernicus—Kepler—Borelli, translated by R.E.W.. Maddison (New York: Cornell University Press, 1973). Especially rich in quotations illuminating Kepler's mentality. Hopkins Press, 1957). Changes in man's conception of his universe and his place in it. -, Newtonian Studies (London: Chapman & Hall, 1965). Essays analyzing how scientific ideas are related to philosophical thought and also determined by empirical controls. Kuhn, Thomas S., The Copernican Revolution: Planetary Astronomy in the Development of Western Thought (New York: Random House, 1957; Cambridge MA: Harvard University Press, 1957). An outstanding analysis of relations between theory, observation, and belief in the development of Western astronomy to Copernicus, particularly within the framework of Aristotelian physics. Press, 1962); second edition, enlarged (Chicago: University of Chicago Press, 1970). The most influential book ever written on how science works. The historian of science Steve Brush has asked, tongue only partially in cheek, if it is safe to expose students to Kuhn's ideas; will knowing that current scientific beliefs eventually will be overthrown and abandoned discourage students from studying current science? Lindberg, David, The Beginnings of Western Science: the European Scientific Tradition in Philosophical, Religious, and Institutional Context, 600 b.c.. to 1450 (Chicago: University ofChicago Press, 1992). Outstanding introduction to the topic, highly recommended. See also Lindberg, ed., Science in the Middle Ages (Chicago: University of Chicago Press, 1978). Lloyd, G.E.R., Early Greek Science: Thales to Aristotle (New York: W.W. Norton, 1970) and Greek Science after Aristotle (New York: W. W. Norton, 1973). These two slim volumes provide a good introduction to Greek science. Lovejoy, Arthur, The Great Chain of Being: A Study of the History of an Idea (Cambridge, Massachusetts: Harvard University Press, 1936.) Traces the history of the idea of plenitude, that a good God created the universe full of all possible things, and continuity in nature. Moore, Henry, Writings and Conversations (Berkeley: University of California Press, 2002). Neugebauer, Otto, Astronomy and History: Selected Essays (New York: Springer-Verlag, 1983). See particularly "The History of Ancient Astronomy: Problems and Methods," pp. 33-98; reprinted from Publications of the Astronomical Society of the Pacific, 58 (1946), 17-43 and 104-142. Brown University Press, 1957; New York: Dover Publications, 1969). The major book on Babylonian astronomy. -, A History of Ancient Mathematical Astronomy (New York: SpringerVerlag, 1975). The most detailed examination of technical details in Ptolemy's Almagest. Newton, Robert R., The Crime of Claudius Ptolemy (Baltimore: The Johns Hopkins University Press, 1977). Argues that Ptolemy was the most successful fraud in the history of science. In Ptolemy's defense, see articles by Owen Gingerich: "Was Ptolemy a Fraud?," Quarterly Journal of the Royal Astronomical Society, 21 (1980), 253-266, reprinted in Gingerich, The Eye of Heaven: Ptolemy, Copernicus, Kepler (New York: American Institute of Physics, 1993), pp. 55-73; "Ptolemy Revisited," Quarterly Journal . . . , 22 (1981), 40-44, reprinted in The Eye of Heaven . . . , pp. 74-80; "Ptolemy and the Maverick Motion of Mercury", Sky and Telescope, 66 (1983), 11-13, reprinted in Gingerich, The Great Copernicus Chase and Other Adventures in Astronomical History (Cambridge, MA and Cambridge, 1992), pp. 31-35. For an overview of the first two decades of the debate, see Norriss S. Hetherington, "Ptolemy on Trial for Fraud: A Historiographic Review," Astronomy & Geophysics, 38:2 (1997), 24-27. Nicolson, Marjorie, Science and Imagination (Ithaca: Gold Seal Books, 1962). One of several studies by the author of the impact of science on the literary imagination. See also Newton Demands the Muse: Newton's Optics and the Eighteenth Century Poets (Princeton: Princeton University Press, 1946); Voyages to the Moon (New York: Macmillan Co., 1948). North, John, The Fontana History of Astronomy and Cosmology (London: Fontana Press, 1994); also published as The Norton History of Astronomy and Cosmology (New York: W. W. Norton & Company, 1995). Perhaps the best single-volume history of astronomy, and authoritative. North's own scholarly research covers the time spectrum from Stonehenge through the Middle Ages to twentieth-century relativistic cosmology. Pedersen, Olaf, A Survey of the Almagest (Denmark: Odense University Press, 1974; Acta Historica Scientiarum Naturalium et Medicinalium, Edidit Bibliotheca Universitatis Haunienis, 30). A thorough running commentary on technical matters in the Almagest. Ragep, F. Jamil, Nasir al-Din al-Tusi's Memoir on Astronomy (al-Tadhkira fi 'ilm al-hafa). 2 volumes (New York: Springer-Verlag, 1993). The major work on al-Tusi. See also Ragep's "The Two Versions of the Tusi Couple," in David King and George Saliba, From Deferent to Equant: A Volume of Studies in the Ancient and Medieval Near East in Honor of E. S. Kennedy (New York: New York Academy of Sciences, 1987), pp. 329-356. Rochberg, Francesca, The Heavenly Writing: Divination, Horoscopy, and Astronomy in Mesopotamian Culture (Cambridge: Cambridge University Press, 2004). On changing interpretations of the significance of Babylonian astronomy in the history and philosophy of science, especially chapter one, "The Historiography of Mesopotamian Science." Anything by Rochberg is highly recommended. Russell, Bertrand, Philosophical Essays (London: Longmans, Green, 1910). Saliba, George, A History of Arabic Astronomy: Planetary Theories during the Golden Age of Islam (New York: New York University Press, 1994). A series of essays. See also "Whose Science is Arabic Science in Renais sance Europe?" and illustrations for al-Tusi's astronomy on Saliba's Web site: http://www.columbia.edu/~gas1/project/visions/case1/sci.3.html. Small, Robert, An Account of the Astronomical Discoveries of Kepler. A reprinting of the 1804 text with a foreword by William D. Stahlman (Madison: University of Wisconsin Press, 1963). Chapter by chapter analysis with notes. Sorabji, Richard, ed., Aristotle Transformed: The Ancient Commentators and Their Influence (London: Duckworth, 1990). See also his Philoponus and the Rejection of Aristotelian Science (Ithaca: Cornell University Press, 1987). Stephenson, Bruce, Kepler's Physical Astronomy (New York: Springer-Verlag, 1987). Presents a detailed examination of Kepler's Astronomia nova, and argues persuasively that Kepler was guided by physical concerns to transcend traditional astronomy. Stimson, Dorothy, The Gradual Acceptance of the Copernican Theory of the Universe (Gloucester, Massachusetts: Peter Smith, 1972). A pioneering effort from 1917 to trace changes in peoples' beliefs. Swerdlow, Noel M., The Babylonian Theory of the Planets (Princeton: Princeton University Press, 1998). On Babylonian astronomy. Swerdlow, Noel M., and O. Neugebauer, Mathematical Astronomy in Copernicus's De revolutionibus (New York: Springer-Verlag, 1984). Taub, Liba Chaia, Ptolemy's Universe: the Natural Philosophical and Ethical Foundations of Ptolemy's Astronomy (Chicago: Open Court, 1993). A brief running commentary on Book I of the Almagest focusing on its place within Greek philosophical and scientific traditions and the degree of concurrence between Aristotle's and Ptolemy's ideas about philosophy and physics. Thoren, Victor E., The Lord of Uraniborg. A Biography of Tycho Brahe (Cambridge: Cambridge University Press, 1990). The best book on both Brahe's life and his science. Toomer, G. J., Ptolemy's Almagest (London: Duckworth, 1984; New York: Springer-Verlag, 1984). See also Toomer's encyclopedic entries "Apollonius of Perga," in C. C. Gillispie, ed., Dictionary of Scientific Biography, vol. 1 (New York: Charles Scribner's Sons, 1970), pp. 179-193; and "Hipparchus," ibid., vol. 15 (1978), pp. 207-234.
van Helden, Albert, Sidereus Nuncius or The Sidereal Messenger Galileo Galilei. Translated with introduction, conclusion, and notes by Albert van Helden (Chicago: University of Chicago Press, 1989). See also his Measuring the Universe: Cosmic Dimensions from Aristarchus to Halley (Chicago: University of Chicago Press, 1985). 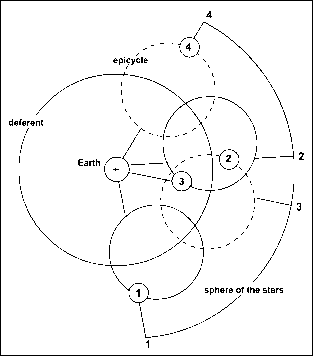 Voelkel, James R., The Composition of Kepler's Astronomia Nova (Princeton: Princeton University Press, 2001). Interprets Kepler's Astronomia nova as a subtle argument rather than an undisciplined stream-of-consciousness narrative. Westfall, Richard S., The Construction of Modern Science: Mechanisms and Mechanics (New York: John Wiley & Sons, Inc., 1971). On the new synthesis of science in the seventeenth century, from Kepler and Galileo to Newton. University Press, 1980). The most complete book on Newton and his science. An abbreviated and more accessible version is Westfall, The Life of Isaac Newton (Cambridge: Cambridge University Press, 1993).